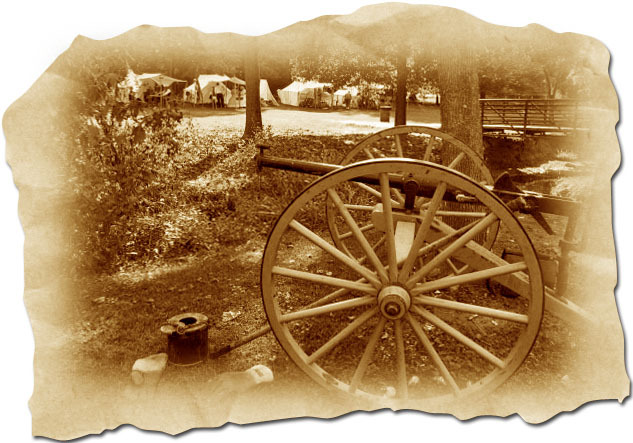 The farmland, forests and fields of the Pennypacker Mills County Park provided the setting for the Civil War Reunion. The park lies 15 miles north of Valley Forge National Park and just across the Perkiomen Creek from the town of Schwenksville. “Perkiomen” is a word from the Lenape, a tribe of Native Americans who settled in the area, that means “muddy waters” and “where the cranberries grow.” As I walked down to the creek, tall grasses waved in the gentle breeze casting an incense over the landscape. Purple, white and yellow wildflowers peeked out from under the canopy of grasses. I stood on the bank of the creek as the melody, “Wade in the Water,” a song associated with the Underground Railroad, played in my mind. The centerpiece of the park is a colonial revival mansion built around 1720 and owned by the Pennypacker family for eight generations. Pennsylvania governor Samuel Pennypacker, who served the state between 1903 to 1907, lived in the house and collected many of the antiques that are displayed throughout the rooms of the mansion. 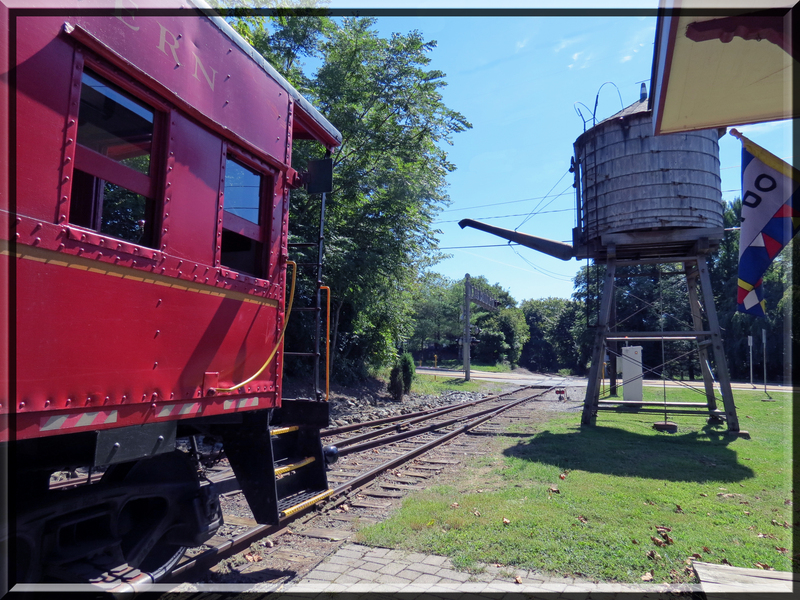 Having filmed two other Civil War reenactments, skirmishes on the Wilmington Railroad and at Rising Sun, Maryland, I looked forward to a new adventure on the rolling hills of Montgomery County. Although no Civil War battles were fought here, in 1863 Samuel Pennypacker enlisted in the 26th Pennsylvania Volunteer Militia and confronted Confederate forces at a skirmish north of Gettysburg at Witmer Farm. Other than a few history classes in college, I hadn’t studied much about the Civil War. In order to learn more, I’ve watched the recent PBS series, Civil War: The Untold Story, the central theme, which some view as controversial, establishing that the Civil War was fought over slavery and not the issue of states’ rights. Producer-director Chris Wheeler stated that the film brought hate mail from groups on the radical right. The film also included the relatively unknown history of the contributions of African-Americans to the conflict. I admired the filming of the battle scenes. What Wheeler and I have in common is that we both photographed reenactors, who are dedicated to accurate portrayals of the Civil War. General John F. Hartranft (a.k.a, Mark D. Grim, Jr.), a native of Montgomery County who fought in both the Eastern and Western battles, presented a lecture on his experiences during the war and as provost-marshal during the trial of those accused of assassinating Abraham Lincoln. The General stated that when Lincoln announced the Emancipation Proclamation, Union soldiers became confused as to the reason they were fighting. They understood the cause as preservation of the union and not for the freedom of the slaves. General Hartranft reaffirmed to the soldiers that preserving the union was the purpose of their sacrifice. As strongly as I believe that the preservation of the union was important, seems like freeing an oppressed population would be a more compelling reason to take up arms. The event planners filled the weekend with activities and demonstrations including musical performances, battle reenactments, children’s events, speakers and sutlers displaying their wares. I took advantage of an early start on the day and attended every event on their schedule. 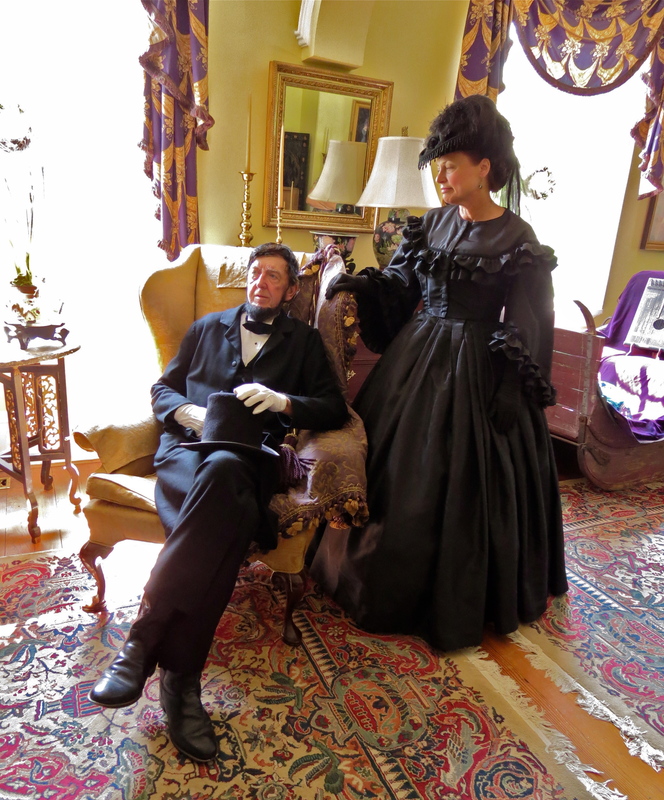 Visitors could walk through the house, where guides in each area presented a history of the rooms. The house was not electrified until after the Pennypackers left, but in 1900 much of the building was updated and renovated. Many of the original furnishings, books and paintings remained with house and in remarkable condition. 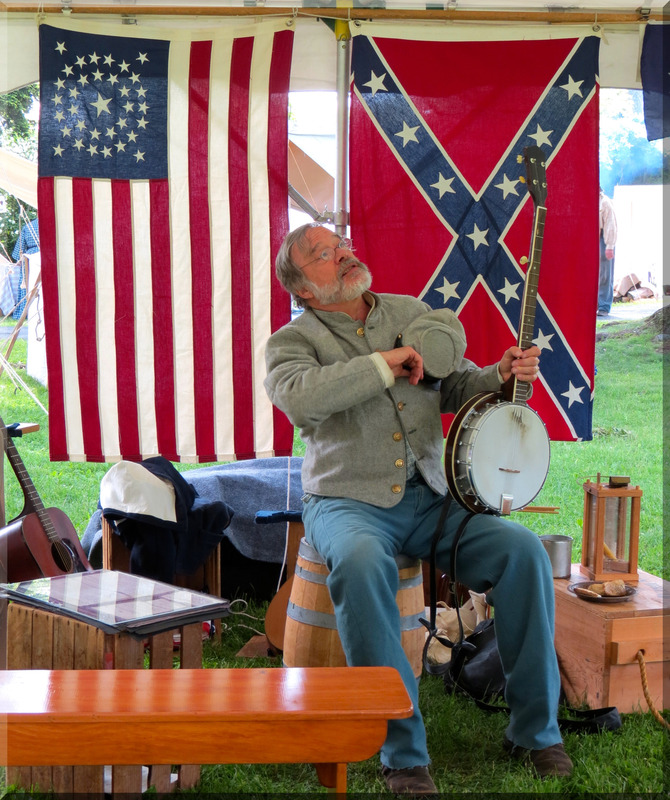 Dressed in a Confederate soldier’s uniform, Matthew Dodd played banjo and guitar, singing songs of the Civil War era, as well as telling stories. He plays “Dixie” in the video at the end of this post. 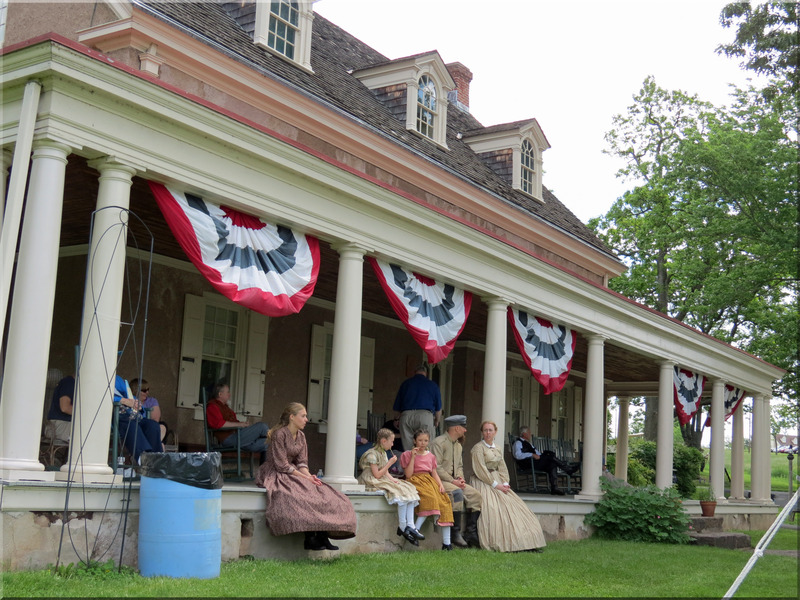 Union Patriotic League, an organization that represents domestic life during the Civil War era, often accompanies the reenactors, displaying their specialized interests, whether basket weaving, cooking or sewing. They created charming vignettes inside their tents, with rugs, quilts, flowers and lamps. In the real Civil War encampments, women and children rarely accompanied the soldiers, so these tents are representative of domestic life at that time and not actually recreating camp life. 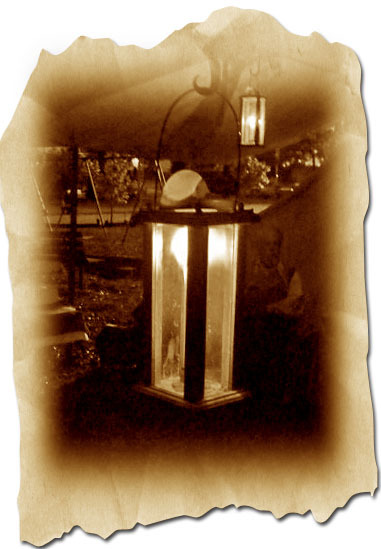 Photographs that follow are from the both the Union Patriotic League and Civil War reenactor camp sites. John Houch presented a history lesson to the gathered crowd, who came to watch the firing of the cannons. John mentioned that in the filming of Gettysburg, the director borrowed 50 cannons from reenactors. In addition to the seasoned adults, children and teens also took part in the demonstration. The Confederates represented the 37th Regiment, North Carolina Troops, Company A. The Becks Philadelphia Brigade Band, a Civil War/Victorian-era brass band, performed military and social music of the Civil War period through the late 1800s. 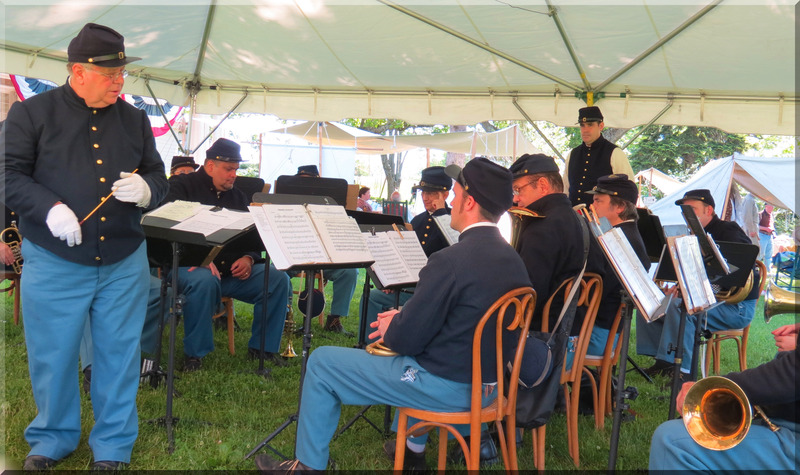 Authentically uniformed, the band played both reproduction and period instruments including a piccolo, Eb cornet, Bb cornet, Eb alto horn, tenor horn, baritone horn, bass and percussion. Today’s band serves as representatives of the brass band of the 2nd Division, 2nd Corps, 2nd Brigade of the Union Army of the Potomac in 1863. Like the little girl whirling in circles, controversies swirl around the authenticity and ethical debates on battle enactments. For someone who would melt down every bullet and bomb ever produced, I have had to ask myself what is the attraction to watching battles, which in reality brought untold suffering and grief? Can someone so committed to peace derive an uplifting message from living history enactments? My argument is in support of the reenactors. They have been extraordinarily kind in sharing information they have learned and generous with their time in making an honest effort at historical representation. Reenactors have every right to role play, as any movie director or documentarian has to present their view. These are regular folks who are portraying regular folks. Just like critics analyze films and television, visitors and observers may also critique these enactments. Just being present, reenactors encourage discussion, debate and further research. 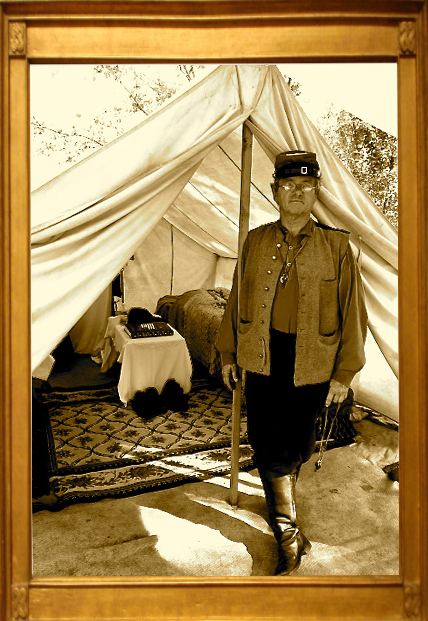 Historical reenacting, as well as for those of us making videos, carries the responsibility to authenticity and an understanding of the implications how the history of the Civil War might be presented.